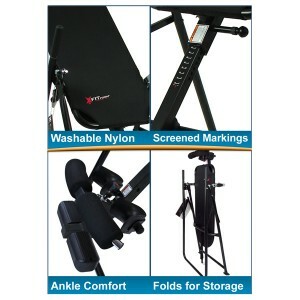 Teeter Hang Ups set off to produce a more affordable inversion table and still meet their strict quality standards. What they came up with is the Teeter FitForm inversion table. Teeter EP-550: The base model of the EP series has everything needed including the EP Flex Technology bed. Teeter EP-550 Sport: This is an EP-550 upgraded with Gravity Boots and stretch handles. Teeter EP-950: Includes a ratcheting handle so you do not have to reach to your ankles to fasten into the table. All of the above are tested and certified so they are able to carry the UL Mark. They come with a five year warranty of all parts and a 30 day return period (90 days if purchased at Better Health Innovations). If you haven’t noticed, there is a lot of competition in the inversion table market. Teeter has differentiated themselves by providing high quality inversion tables for more than 20 years. 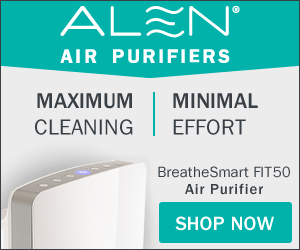 They are considered the top brand in the market, and generally cost more. They are the only tables that are tested to medical equipment standards and carry the UL Mark. The overwhelming majority of other inversion tables are produced by contract manufacturers in Asia and imported to the United States by marketing companies. With the influx of cheap tables coming into the United States, it appears that Teeter introduced the FitForm to compete with the $179 to $249 tables. Teeter kept to their quality principles with the FitForm; this table classified through independent testing to both UL 1647 (inversion table standard) and UL 60601-1 (medical equipment standard), just like it’s more expensive siblings in the EP Series. The FitForm does not have all the features of the EP Series. Most noticeable, this model lacks the Flex Technology bed and has the older-type stretched nylon bed. I rather like the Flex-Technology bed on the EP series, but I also think that the flatness of the stretched nylon bed offers advantages to those who may want a more rigid surface to lay on during partial inversion. The frame is different from the more expensive EP-series as well. Even though I am one inch taller than the rated 6’6″ capacity, the table was perfectly stable for me. Unlike the EP tables, the mainshaft of the FitForm is not chrome plated. This is surely a cost savings area that helped allow Teeter to get the FitForm where they needed it with price. While it does not affect function of the table, chrome is much harder than paint, and would certainly look nicer longer, expecially if the table is being frequently adjusted. If you look at one of the pictures in this post, the mainshaft is the part that connects to the foot clamps and slides in/out of the bed frame for height adjustment. Foot clamps are similar to the EP-550, but with perhaps less padding on the top clamping surface. They are easily adjustable for foot size, just like the EP series. I was surprised that this model comes with many of the features unique to a Teeter inversion table like the pivot bearings, anti-rattle knob, and the roller hinges. For a model where Teeter is attempting to compete with the lower-end units, they did not cut corners in critical areas and relied on their years of experience in knowing what works. Set up was really simple. Most of the big stuff comes pre-assembled and the manual is very clear. It took me longer to find a spot big enough to unpack the box than it did for me to assemble it. As with other inversion tables, if you have back pain, you may want a friend to help you maneuver the 65 pound box around and to get the bed onto the table. The Fitform controls angle using a simple tether strap that can be adjusted. I prefer this simple solution over the angle adjustments I’ve used on other tables where there is a mechanism with dial-type adjustment on the top of the A-frame. [stextbox id=”info” collapsing=”false” collapsed=”false” float=”true” align=”left” width=”330″]Purchasing any Teeter Inversion Table through our Better Health Innovations site, you will receive several upgrades our competitors simply can not match, such as our 90 day personal coaching program, 90 day return period, price guarantee, and more. Click Here For Details[/stextbox]The tether is just some much easier to use than the dial-type. The Fitform allows full inversion. Inversion is smooth, and I had no trouble getting on the table. Balance was fine with my initial adjustments. Like with other Teeter inversion tables, simply raise one hand above your head to start inversion and then the other to keep going. Reverse the process to go upright. I felt secure on the table when inverted fully, including when I moved around a bit. Comparing to other brands, the FitForm is at a lower, but kind of odd price point. It’s almost like they set out to build a $179 table, but couldn’t do it with all the features Teeter requires and the expense of UL testing. Looking at tables below the current FitForm $219 price, this low-cost Teeter has them all beat hands-down. It is more stable and has better fit & finish than any table I have experienced at a lower price. Not only that, but it is UL tested and has a 2 year warranty, unlike the other tables on the market. The only other popular tables around the FitForm’s price are the Ironman series. The last I had heard, they had gone out of business and sold the name to another company. I’m not sure who is making Ironman now, but the tables are still available. A couple years ago Ironman tables had weld failure issues resulting in a recall. I have tried a couple of their models. Most noticeably in comparison, the FitForm has a smoother rotation, more comfortable foot clamps, and is much less complicated. Comparing the FitForm to more expensive non-Teeter inversion tables, it has most of them beaten with the warranty and UL Listing. It does lack some features you see on the more expensive tables, but not many that I think a typical user would miss. If you absolutely can not afford a $299 Teeter EP-550, then go with the FitForm. You won’t be disappointed, and your back will thank you for years. If you plan on using the table a couple times a day on a regular basis, or if there is more than one person in the household using the table, then try to stretch to a Teeter EP-550. I would feel more comfortable using an EP-series table for heavy regular use, especially with the longer five year warranty period of the EP-550 versus the two year warranty on the FitForm. If you have back pain to the point where you can not reach your ankles, you can go with the FitForm, but plan to have someone helping you with the ankle clamps. While it’s significantly more money, you may appreciate an EP-950 with the ratcheting clamp mechanism that has a handle so you don’t have to bend all the way over to reach your knees. If you want it all, go with the Teeter EP-550 Sport (currently $419). Your ankles will love the Gravity Boots it comes with and you may enjoy the traction handles. Bottom line: The Fitform is a great table, especially for the price. Remember, purchasing any Teeter Inversion Table through our Better Health Innovations site, you will receive several upgrades our competitors simply can not match, such as our 90 day personal coaching program, 90 day return period, price guarantee, and more. If you have any questions about the any of the Teeter inversion tables, please give us a call/email. If you would like a to share your questions or experiences, please leave a comment below! It is Teeter Hang Ups Fitform inversion table review. If we are reading this review, we will not regret in buying and using this type of inversion table. 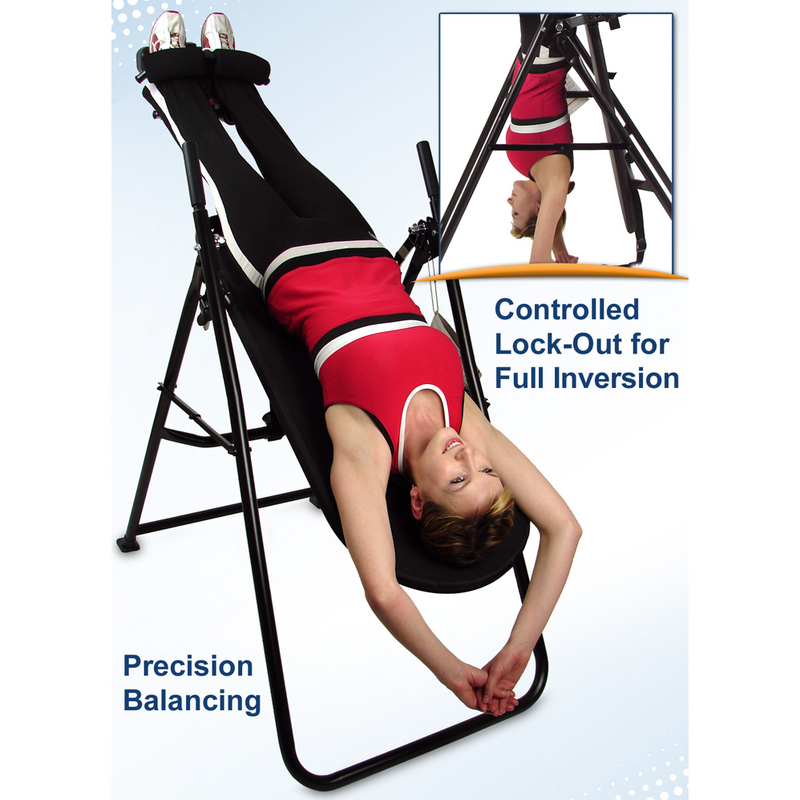 We can get much benefit from using this kind of inversion table.